Enjoy and don’t forget you can send us your articles by mail. If switchgears are installed in well ventilated, air-conditioned and clean environmental conditions, they do not require much maintenance. Major inspections are needed and are done only during plant shut downs. These inspections include contact wear identification, checking on interlock operations, observing overload settings, size of the fuses employed, overheating and finally, checking if there is any dirt or corrosion in the switchgear components. 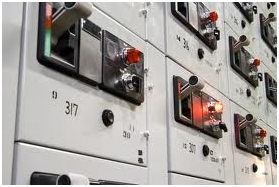 In case of medium voltage switchgears, more concentration should be placed on checking the protective devices, oil levels in the circuit breaker and contact distances of the vacuum bottles and see if they are as per the manufacturer’s specifications.